BRUNE, Johan de, the younger. Iok en ernst: dat is; Allerlei deftige hofredenen, quinkslagen, boerteryen, raadsels, spreuken, vragen, antwoorden, gelikenissen; en al wat dien gelijkvormigh met de naam van apophtegmata verstaan wordt. 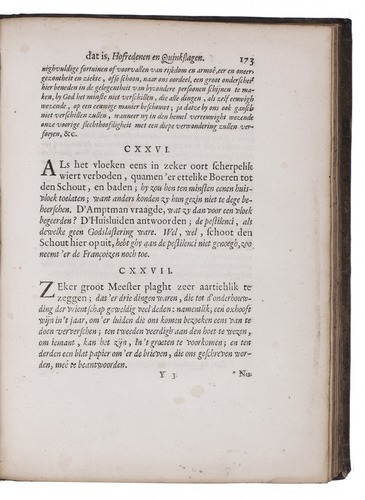 … 't Eerste deel [all published]. Amsterdam, Jacob Lescaille, 1644. 4to. 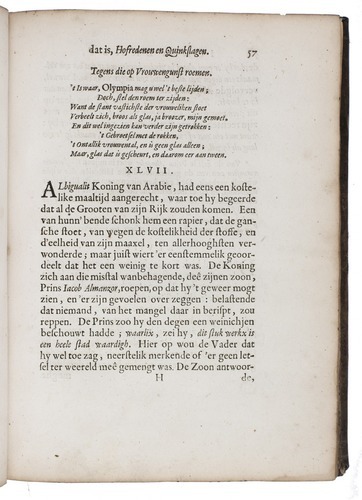 With engraved vignette on title-page. Contemporary vellum, traces of ties. 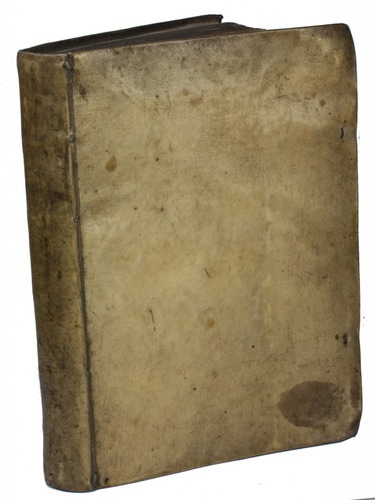 First edition of the first and only volume of a collection of apophthegmata aptly titled Jok en ernst ("Jest and earnest"), by the cousin of Johan de Brune, the elder (1588-1658), who is now better known, but in his heyday less popular than his younger namesake. It includes 240 anecdotes all accompanied by extensive commentary. It is this combination of witticisms with a broad knowledge that gives this book its intellectual charm. 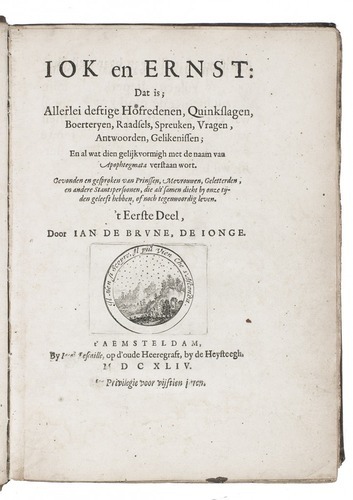 Johan de Brune, the younger (1616-1649) was raised partly in England by his uncle Francicus Junius, a pioneer of Germanic philology, and partly in Amsterdam by the Dutch humanist Vossius. He was well-read at an early age, and was compared to Montaigne and Bacon by his contemporaries, but his early death prevented him from living up to these comparisons. 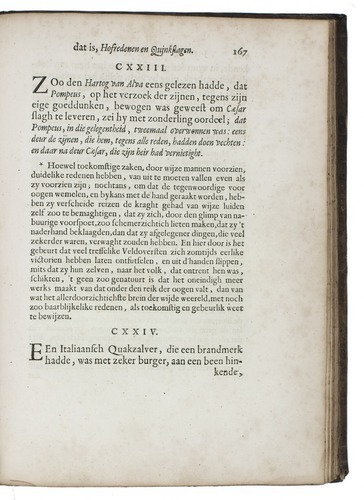 A restored tear and some minor waterstains in the lower margins, the title-page slightly browned and some occasional spots, otherwise in very good condition. Binding somewhat soiled, but still very good. 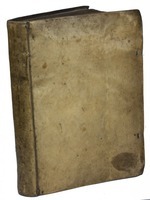 STCN (7 copies of this issue); Te Winkel IV, pp. 327-328.